Work for License4J Floating License Server? Learning about License4J Floating License Server? "One of the Best License Manage for JAVA application"
Floating license feature is the best thing we can use with this. Also, it supports different level of key encryptions. No Automated SKU recognition makes the application a little backward. It is having a lot of options for the keys. Please check your organization encryption standards before generating the encryption keys. License management GUI is simply the best tool for license generation and management. We have tied of this with our JAVA products for licensing. It provides JAV libraries which are really easy to implement and free license generation server as well. It supports hardware ID for licensing. Fraud.net is a leader in AI-powered enterprise risk intelligence. Its award-winning fraud detection platform helps digital businesses to quickly identify transactional anomalies and pinpoint fraud using artificial intelligence, big data and live-streaming visualizations. Over 3 billion customer data records were stolen in 2018 and the number of breached records is expected to reach 5 billion in 2022. As businesses digitize their operations at unprecedented rates, they also create vulnerabilities. As a result, cybercrime is projected to grow 400% between 2017 and 2022 when the associated cost to business globally is expected to reach $8 Trillion. Contact us today to discuss a strategy best suited for your organization. * We monitor all License4J Floating License Server reviews to prevent fraudulent reviews and keep review quality high. We do not post reviews by company employees or direct competitors. Validated reviews require the user to submit a screenshot of the product containing their user ID, in order to verify a user is an actual user of the product. Hi there! 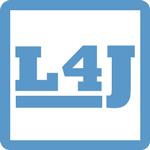 Are you looking to implement a solution like License4J Floating License Server?